The meat of wild species or ‘wild meat’ is the subject of the recent report, Towards a sustainable, participatory and inclusive wild meat sector published by the Secretariat of the Convention on Biological Diversity (CBD) and the Center for International Forestry Research (CIFOR). The report, led by Dr. Lauren Coad and Prof. John E. Fa both from CIFOR, and in collaboration with many international experts in the field is an essential source of protein and a generator of income for millions of forest-living communities in tropical and subtropical regions. Invertebrates, amphibians, reptiles, birds and mammals are eaten across the world; some of them also hold an important place in traditional cultural values and practices. However, unsustainable harvest rates currently endanger the integrity of ecosystems and threaten the livelihoods of many vulnerable households. This report, produced in response to a call from the CBD, is a technical tool to help users guide actions towards a more sustainable wild meat sector. It is an extensive compilation of the current knowledge on wild meat use, drivers and impacts, and provides recommendations on how to improve wild meat governance and management. In all tropical and subtropical regions, greater wildlife offtakes are being enabled by advances in hunting technologies, as well as the increased penetration of new lands by infrastructure, logging, mining and agriculture. Consumers in fast-growing urban centers largely drive demand for wild meat, where it is eaten as a luxury item rather than as a food staple. This greater pressure from large towns and cities has had significant impacts on wildlife populations and ecosystem integrity. In turn, this jeopardizes the financial ‘safety nets’ and food security of remote rural and indigenous communities, for whom wild meat can account for much of their dietary protein, as well as an important source of other nutrients. Key to the success of sustainable management is ensuring that wild meat use is considered a cross-sectoral issue; firmly incorporated in national resource and land-use planning. The success of management strategies will depend on an enabling environment at the national level. Political support for sustainable wild meat management is more likely if the circumstances for legitimate consumptive use of wildlife are recognized and formalized. In many countries a key first step will be the revision of national hunting laws and land tenure governance systems in consultation with multiple stakeholders. Research efforts must focus on producing science-based evidence that governments, communities, NGOs and industries can use to improve management policies and practices. The creation of a sustainable wild meat sector requires interconnected interventions along the entire value chain – focused on local hunting communities, urban consumers and wider society. 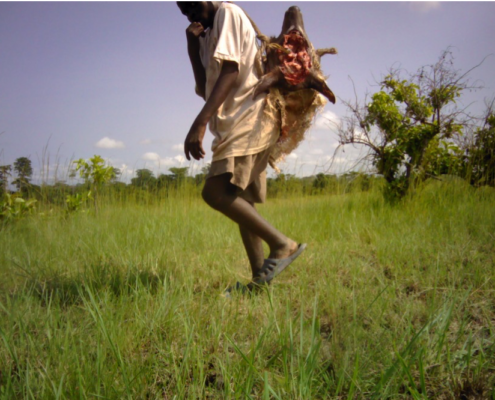 For some tropical wildlife species harvested in rural settlements with low human population densities, well-designed community management approaches could align local demand with sustainable levels of hunting offtake. However, the naturally low wildlife productivity, wild habitat loss and growing urban populations in many tropical and sub-tropical regions mean that wild meat is unlikely to be supplied sustainably to large towns and cities. Governments and development agencies should recognize the urgent need to develop viable alternative foods (such as domestic meats) for newly urbanized areas, where nearby wildlife populations are severely depleted, but where alternatives to wild meat are not yet available in large enough quantities. In large metropolitan areas, wild meat is generally consumed as a luxury product, and only small amounts eaten per person. However, the large number of city dwellers can result in a significant aggregate consumption of wild meat. In this case, approaches for reducing wild meat use will depend on changing consumer motivations, involving targeted behavioral change campaigns, alongside adequate law enforcement of the trade and sale of wild meat. 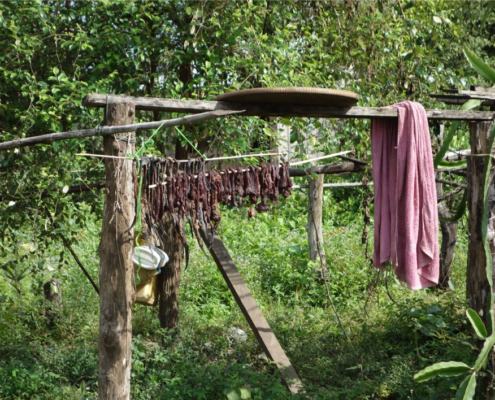 Although the sustainable management of the tropical wild meat sector is challenging and complex, many of the examples given in this document suggest that, with the right enabling environment and political will, well-designed and participatory multi-sectoral approaches could effectively manage wild meat supply and reduce demand to sustainable levels for some tropical species in some places. However, this is highly unlikely to be a panacea that ensures food security for all communities currently hunting wildlife for food. Urban population growth, declining space for wildlife, historical over-exploitation and the lucrative trade for luxury use, all diminish the likelihood of widespread uptake and success of sustainable management policies. It is essential that governments and development agencies recognize the urgent need to develop viable alternative food supplies for newly urbanized areas without reliance on wildlife. For people, communities and nations engaged in the sustainable management of tropical wildlife, there is hope. However, the pathway to long-term sustainable use will be highly challenging. Illegal ivory in the UK: what do traders need to comply with regulations? M. Gore V.L. 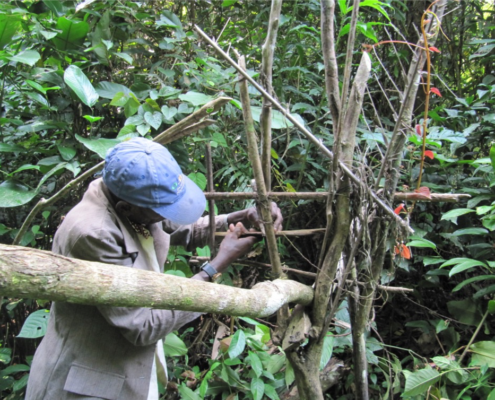 Williams Traditional medicine and IWT in Southern Africa: a roaring trade?